In humans, people with strong social ties live longer, have healthier lives, whereas hostile tendencies can lead to an early death. In animals, this seems to be the case as well. Strong social networks contribute to longer lives and healthier offspring. Personality might also be a factor in other primates’ longevity. The scientists published their findings in the journal Proceedings of the National Academy of Sciences. Baboons that had the most stable relationships with other females weren’t always highest up in the dominance hierarchy, but they were the nicest. Personality isn’t an easy factor to study scientifically in primates since it isn’t clear how human traits apply to animals. 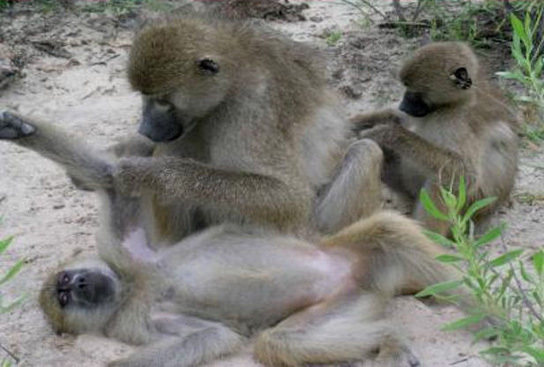 The wild baboons were studied at the Moremi Game Reserve in Botswana for almost 20 years. 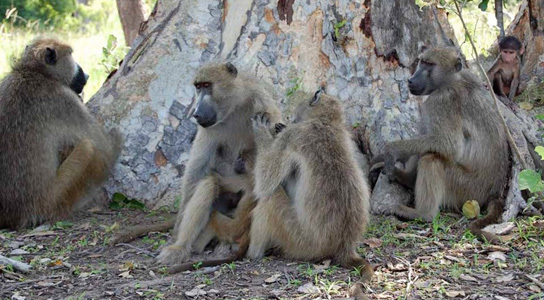 This study therefore also provides detailed, long-term observation of the behavior of several generations of baboons, as well as biological and genetic data. It was previously shown that females lived longer, had lower stress hormone levels, and had more surviving offspring when they had close, long-lasting relationships with other females. Dominance rank is significant for males, with alpha-males living longer than some lower-ranking males, but this wasn’t true for females. The researchers characterized the baboon behavior as nice, aloof or loner from well-known character traits. They also tested the baboons for levels of glucocorticoid stress hormones. Females who scored high on the nice meter were friendly to all females. They were the most often approached by other females and were the most sociable in general. Aloof females, though less sociable than their nice counterparts, still maintained stable relationships. Loner animals were less stable and had higher stress hormone levels that the other two groups. Be the first to comment on "Baboons with Stable Relationships are Nicer and Live Longer"